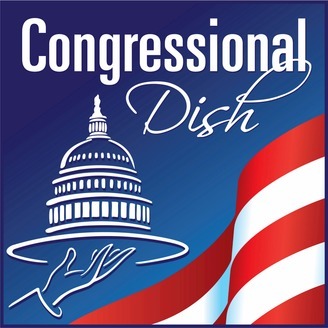 A podcast highlighting corporate influence on the bills passed by Congress. 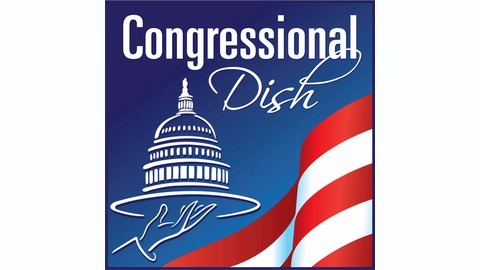 www.congressionaldish.com Follow @JenBriney on Twitter. Measles is back in the United States and is currently spreading quickly; the number of cases in the United States in 2019 has already surpassed the number of cases in all of last year. In this episode, get highlights from two Congressional hearings addressing the measles outbreak, which answered a lot of questions about the dangers of the disease, what is causing the outbreak, what is being done about it by the government, and what we can do to help. Article: New York City vaccination order shines spotlight on insular Jewish community by Lenny Bernstein, Lena H. Sun, and Gabrielle Paluch, The Washington Post, April 11, 2019. Tweet: Congratulations to Netanyahu from Rep. Jeff Duncan, April 11, 2019. Article: 78 new measles cases reported nationwide since last week, CDC says by Debra Goldschmidt, CNN, April 8, 2019. Article: More Americans have gotten measles this year than in 2018 - and it's only April by Sara Chodosh, Popular Science, April 8, 2019. Article: Australia ramps up measles warnings as cases jump, Yahoo News, April 7, 2019. Article: Judge lifts Rockland's measles emergency order banning unvaccinated children from public by Jenna DeAngelis, CBS Local New York, April 5, 2019. Article: In three months, US measles cases surpass 2018 numbers by Carolyn Wilke, The Scientist, April 2, 2019. Article: The measles virus was down and out. Now it's primed for a comeback by Helen Branswell, Stat News, March 26, 2019. Article: Footage contradicts U.S. claim that Nicolas Maduro burned aid convoy by Nicholas Casey, Christoph Koettl, and Deborah Acosta, The New York Times, March 10, 2019. Article: Measles cases mount in Pacific northwest outbreak by Jonathan Lambert, NPR, February 8, 2019. Article: Measles cases at highest for 20 years in Europe, as anti-vaccine movement grows by Sarah Boseley, The Guardian, December 21, 2018. Article: Vitamin A: Benefits, deficiency, toxicity and more by Jillian Kubala, Healthline, October 4, 2018. Article: Vitamin A protects against measles: Top Doctor by Sylvia Booth Hubbard, Newsmax Health, February 3, 2015. Research Article: Measles-induced encephalitis by D.L. Fisher, S. Defres, and T. Solomon, QJM International Journal of Medicine, May 26, 2014. Research Article: Measles inclusion-body encephalitis caused by the vaccine strain of measles virus by A. Bitnun, P. Shannon, A. Durward, P.A. Rota, W.J.Bellini, C. Graham, E. Wang, E.L. Ford-Jones, P. Cox, L. Becker, M. Fearon, M. Petric, and R. Tellier, PubMed, October 29, 1999. Sound Clip Sources Hearing: Vaccines Save Lives: What is Driving Preventable Disease Outbreaks, Senate Committee on Health, Education, Labor & Pensions, Senate.gov, March 5, 2019. 20:00 Dr. John Wiesman: As of yesterday, Washington State's measles outbreak had 71 cases plus four cases associated with our outbreak in Oregon and one in Georgia. Containing a measles outbreak takes a whole community response led by governmental public health. The moment they suspected cases reported, disease investigators interviewed that person to determine when they were infectious, who they were in close contact with and what public spaces they visited. If still infectious, the health officer orders them to isolate themselves so they don't infect others, notifies the public and the about the community about the public places that they were in when they are infectious and stands up a call center to handle questions. We also reach out to individuals who were in close contact with the patient. If they are unvaccinated and without symptoms, we ask them to quarantine themselves for up to 21 days. That's how long it can take to develop symptoms and we monitor them so that we quickly know if they develop measles. If they show symptoms, we get them to a healthcare provider and obtain samples to test for measles and if they have measles, we start the investigation process all over again. This is a staff and time intensive activity and is highly disruptive to people's lives. Responding to this preventable outbreak has cost over $1 million and required the work of more than 200 individuals. 21:15 Dr. John Wiesman: So what do we need from the federal government? First, we need sustained, predictable and increased federal funding. Congress must prioritize public health and support the prevention and public health fund. We are constantly reacting to crises rather than working to prevent them. The Association of state and territorial health officials and over 80 organizations are asking you to raise the CDC budget by 22% by FY22 this will immediately bolster prevention services, save lives, and reduce healthcare cost. Second, our response to this outbreak has been benefited greatly from the Pandemic and All Hazards Preparedness Act, so thank you. The Public Health Emergency Preparedness Cooperative Agreement in the hospital preparedness programs authorized by this law are currently funded $400 million below funding levels in the 2000s. More robust funding is needed and I strongly urge you to quickly reauthorize POPRA because many of the authorizations expired last year. Third, the three 17 immunization program has been a flat funded for 10 years without increased funding. We cannot afford to develop new ways to reach parents with immunization information nor maintain our electronic immunization systems. Fourth, we need federal leadership for a national vaccine campaign spearheaded by CDC in partnership with states that counter the anti-vaccine messages similar to the successful TRUTH tobacco prevention campaign. We have lost much ground. Urgent action is necessary. 46:15 Sen. Lamar Alexander (TN): In your opinion, there's no evidence, reputable evidence, that vaccines cause autism? Jonathan McCullers: There is absolutely no evidence at this time that vaccines cause autism. Sen. Lamar Alexander (TN): Dr. Omer, do you agree with that? Saad B. Omer: Absolutely. Sen. Lamar Alexander (TN): Doctor Wiesman, do you agree with that? Dr. John Wiesman: I do. Sen. Lamar Alexander (TN): Mr. Boyle, do you agree with that ideal? John Boyle: I do. Sen. Lamar Alexander (TN): Mr Lindenbergeer? Ethan Lindenberger: I do. 47:30 Dr. John Wiesman: The choice to sort of make exemptions more difficult - to get them to be a sort of as burdensome as not getting the vaccine - is incredibly important. In Washington state, as you know, we have two bills right now that are looking to remove the personal exemptions from a vaccine for school entry and for child care entry. I think that's one of the tools that we have and that we should be using for this. 47:45 Dr. John Wiesman: I will also say in Washington state, another problem we have is that about 8% of our kids are out of compliance with school records so that we don't even know if they're vaccinated or would like exemptions and we have to tackle that problem as well. 1:05:45 Sen. Rand Paul (KY): Today though, instead of persuasion, many governments have taken to mandating a whole host of vaccines including vaccines for nonlethal diseases. Sometimes these vaccine mandates have run a muck when the, as when the government mandated a rotavirus vaccine that was later recalled because it was causing intestinal blockage in children. I'm not a fan of government coercion, yet given the choice, I do believe that the benefits of most vaccines vastly outweigh the risks. Yet it is wrong to say that there are no risks to vaccines. Even the government admits that children are sometimes injured by vaccines. Since 1988 over $4 billion has been paid out from the Vaccine Injury Compensation Program. Despite the government admitting to in paying $4 billion for vaccine injuries, no informed consent is used or required when you vaccinate your child. This may be the only medical procedure in today's medical world where an informed consent is not required. Now, proponents of mandatory government vaccination argue that parents who ref use to vaccinate their children risk spreading these disease to the immunocompromised community. There doesn't seem to be enough evidence of this happening to be recorded as a statistic, but it could happen. But if the fear of this is valid are we to find that next we'll be mandating flu vaccines. Between 12 and 56,000 people die from the flu or are said to die from the flu in America and there's estimated to be a few hundred from measles. So I would guess that those who want to mandate measles will be after us on the flu next. Yet the current science only allows for educated guessing when it comes to the flu vaccine. Each year before that year's flu vaccine is, or strain is known, the scientists put their best guess into that year's vaccine. Some years it's completely wrong. We vaccinate for the wrong strain of flu vaccine. Yet five states already mandate flu vaccines. Is it really appropriate, appropriate to mandate a vaccine that more often than not vaccinates for the wrong flu strain. As we contemplate forcing parents to choose this or that vaccine, I think it's important to remember that force is not consistent with the American story, nor is force considered consistent with the liberty our forefathers saught when they came to America. I don't think you have to have one of the other, though. I'm not here to say don't vaccinate your kids. If this hearing is for persuasion, I'm all for the persuasion. I vaccinated myself. I vaccinated my kid. For myself and my children I believe that the benefits of vaccines greatly outweigh the risks, but I still do not favor giving up on liberty for a false sense of security. Thank you. 1:13:20 Sen. Elizabeth Warren (MA): This administration has repeatedly sought to cut the Prevention and Public Health Fund, which supports key immunization programs, and they've continued their efforts to weaken the Medicaid program, which covers all of the recommended vaccines for children and for many adults as well. I am glad that most of my colleagues are on the same page about the importance of vaccines. Now let's make sure we're also on the same page about the importance of public health funding, so people get access to those vaccines. 1:28:30 Jonathan McCullers: So Mississippi does not allow any nonmedical exemptions, and they have nearly a 100% rate of immunization at school entry. They pay a lot of attention to it. Tennessee's in the middle, they allow religious exemptions, but not philosophical exemptions. In Tennessee, we have about a 97% vaccination rate of kindergarten entry, but we've seen the rate of nonmedical exemptions under the religious exemption triple in the last 10 years, so you can predict where that's going. Arkansas ,on the other hand, allows both religious and philosophical exemptions and has a rate that's around 93 to 94% below the level for community immunity. Hearing: Confronting a Growing Public Health Threat: Measles Outbreaks in the U.S., Committee on Energy and Commerce, Subcommittee on Oversight and Investigations, House of Representatives, C-SPAN, February 27, 2019. 3:42 Chairman Diana Degette (CO): The national measles vaccination rate of children between 19 and 35 months old is currently at 91%. That may seem high to some, but given the highly contagious nature nature of measles, it's well below the 95% vaccination rate that's required to protect communities and give it what it's known as herd immunity. This so called herd immunity is particularly vital to protecting those who cannot be or are not yet vaccinated against the measles, such as infants or those with prior medical conditions who are at a higher risk of suffering severe complications from the vaccine. 4:30 Chairman Diana Degette (CO): While the overall national rate of MMR vaccinations is currently at 91%, the rate in some communities is much lower. Some are as low as 77%. 9:15 Rep. Brett Guthrie (KY): Every state except three have enacted religious exemptions for parents who wish not to vaccinate their children. There are 17 states allow a personal philosophical exemption, which means that most people can opt out for any reason. For example, in Washington state, just 0.3% of Washington's families with kindergartners use a religious exemption. While 3.7% of families use a personal exemption and 0.8% use a medical exemption. Vaccine exemptions have increased in the past three years to a median 2.2% of kindergardeners among all states. 10:00 Rep. Brett Guthrie (KY): After the Disneyland linked outbreak to measles in 2014, the state of California ended the religious and personal exemption for vaccines. The Washington legislature is working on legislation that substantially narrows the exemptions for vaccination that would eliminate the personal or philosophical exemption while tightening the religious exemption. In recent weeks, take legislators in New Jersey, New York, Iowa, Maine, and Vermont, have proposed eliminating religious exemptions for vaccines. However, last week, the Arizona House Health and Human Service Committee approved three bills to examine exemptions for mandatory vaccinations. 23:25 Dr. Nancy Messonnier: From January 1st to February 21st, 159 cases of measles have been confirmed in 10 states, including California, Colorado, Connecticut, Georgia, Illinois, Kentucky, New York, Oregon, Texas, and Washington. In 2018, 372 people with measles were reported from 25 states and the district of Columbia. Most cases have been unvaccinated. 24:15 Dr. Nancy Messonnier: Nationally, we enjoy high measles vaccination coverage. However, there are pockets of people who are vaccine hesitant, who delay or even refuse to vaccinate themselves and their children. Outbreaks of measles occur, when measles gets into these communities of unvaccinated people. Those choosing not to vaccinate, tend to live near each other. Some of these are what we call close knit communities. People who share common religious beliefs or racial ethnic background. Others are people who have strong personal belief against vaccination. 25:15 Dr. Nancy Messonnier: Vaccine hesitancy is the result of a misunderstanding of the risk and seriousness of disease combined with misinformation regarding the safety and effectiveness of vaccines. However, the specific issues fueling hesitancy varies by community. Because vaccine hesitancy remains a highly localized issue, the strategy to address these issues need to be local with support from CDC. Strong immunization programs at the state and local levels are critical to understanding the specific issues and empowering local action. CDC also works to support state and local public health efforts through research to understand these reasons and develop targeted strategies to address hesitancy. 28:40 Dr. Anthony Fauci: Measles virus is one of the most contagious viruses that we know among the pathogens that confront mankind. As mentioned, that if an individual gets into a room with someone who has measles, and that person is coughing and sneezing, there's about a 90% chance that that person. That is very unlike other diseases like influenza and other respiratory diseases when the hit rate, although it's high, is nothing, uh, approaching 90%. 30:00 Dr. Anthony Fauci: As was mentioned prior to the vaccine era, there were about 3 million deaths each year. The decrease was dramatic. There were 21 million lives that were saved from vaccines between the year 2000 and 2017. But as shown on the last bullet on this slide, there are 110,000 deaths still today in the world, which means there's the danger of the reinsertion of measles from other countries, and if we're not protected. 31:00 Dr. Anthony Fauci: Well, let's take a look at some of the things that I mentioned about the disease itself. Fever, cough, rash, as was mentioned by Dr. Burgess, again, contagious from four days before the rash to four days after. So people are spreading measles before they really know that they actually have measles. We have a group of individuals who are particularly at risk for complications, infants and children, pregnant women, immunocompromised, and even adults. If you're not protected and you get infected, adults have a high incidence of complications. You've heard about the complications. They are not trivial. One out of 10 with ear infections, which could lead to deafness, pneumonia in one out of 20 cases, and encephalitis one in a thousand. A very rare occurrence called subacute sclerosing panencephalitis, seven to 10 years after an individual develops measles, they can have a very devastating neurological syndrome, no known cure, and is vaccine preventable. 34:15 Dr. Nancy Messonnier: Taking care of your health, eating well, exercising, getting enough sleep: Those are all parts of a healthy lifestyle, but the only way to protect against measles is to get vaccinated. It's a safe and effective vaccine, and parents should go ahead and get vaccinated. 36:00 Chairman Diana Degette (CO): What are the risks inherent in the vaccine itself? I think that might be one reason why, um, some, some parents are choosing not to vaccinate their children as they believe that the risks with the vaccine outweigh the benefits. Dr. Nancy Messonnier: I think you're exactly right and I think in the setting of not a lot of measles cases around, parents weigh in their mind the risks and benefits and think they shouldn't vaccinate. Truth is this is an incredibly safe vaccine. We have a host of experience with it. The vaccine's been used for a really long time. We in the United States enjoy one of the most robust systems to monitor the safety of vaccines. And that's why we can say with confidence that this is a safe vaccine. The most common side effects are a sore arm, which goes away pretty quickly. 42:00 Rep. Brett Guthrie (KY): I've heard some parents claim that measles vaccine can cause brain inflammation known as encephalitis. Is that true? Dr. Anthony Fauci: Brain inflammation? Rep. Brett Guthrie (KY): Encephalitis? Can the measles vaccine cause encephalitis? The vaccine? Dr. Anthony Fauci: The vaccine? No. Rep. Brett Guthrie (KY): There's no cases? Chairman Diana Degette (CO): The Chair will remind all persons in the audience that manifestation of approval or disapproval of proceedings is in violation of the rules of the house and its committees. Gentlemen may proceed. Dr. Nancy Messonnier: In healthy children, the MMR vaccine does not cause brain swelling or encephalitis. Rep. Brett Guthrie (KY): So if a, if a child was unhealthy when they're vaccinated? Dr. Nancy Messonnier: So, there are rare instances of children with certain very specific underlying problems with their immune system and who the vaccine is contra indicated. One of the reasons its contra indicated is in that very specific group of children, there is a rare risk of brain swelling. Rep. Brett Guthrie (KY): Would the parent know if their child was in that category before… Dr. Nancy Messonnier: Certainly, and that's why parents should talk to their doctor. 43:15 Rep. Brett Guthrie (KY): So there's another thing that's that people can self medicate with vitamin A to prevent measles and not do the vaccine. Is that, what's the validity of that in your opinion? Dr. Anthony Fauci: Well, the history of vitamin A and measles goes back to some very important and I think transforming studies that were done years ago in, in sub Saharan Africa, is that with vitamin A supplements, particularly in vitamin A deficiency that children who get measles have a much more difficult course. So vitamin A associated with measles can actually protect you against some of the, uh, toxic and adverse effects. Importantly, since in a country, a developed nation where you really don't have any issue with vitamin A deficiency, that you don't really see that transforming effect. But some really good studies that were done years ago show that vitamin A supplementation can be very helpful in preventing the complications of measles. Rep. Brett Guthrie (KY): It doesn't prevent the onset of measles if, if you're not… Dr. Anthony Fauci: No. Rep. Brett Guthrie (KY): is that what you're saying? It doesn't want to put words in your mouth. Dr. Anthony Fauci: It doesn't prevent measles. But it's important in preventing some of the complications in societies in which vitamin A deficiency might exist. 46:10 Rep. Jan Schakowsky (IL): I'm trying to understand what has happened between 2000 and 2019 and why we're, we've fallen so far from the public health success stories, um, when the CDC actually said that there we had eradicated in the United States, uh, measles in, in, in 2000. So Dr. Messonnier, yes or no: Do you believe the primary cause of the spike and measles outbreak over the past few years is due to vaccine hesitancy and misinformation? Dr. Nancy Messonnier: Yes and no. I think vaccine hesitancy is a, is a word that means many different things. Parents have questions about vaccines, they get those questions answered. That isn't what you should call a hesitancy. So I do believe that parents concerns about vaccine leads to under vaccination and most of the cases that we're seeing are an unvaccinated communities. However, if you look nationally at measles vaccination coverage, there were other things that are associated with low coverage. Um, for example, living in a rural area versus an urban area. Rural areas have lower vaccine coverage with measles. Schakowsky: How would you account for that? Messonnier: Well, I think that there are other things besides the sole choice that are around access to care. For example, kids without health insurance have lower measles vaccination coverage. Schakowsky: So generally lack of access to care. Messonnier: In addition to parents making decisions not to vaccinate their kids. Yes. 50:20 Rep. Michael Burgess (TX): I do feel obligated dimension that vitamin A is not like vitamin C. You may not take unlimited quantities of vitamin A with impunity. It is a fat soluble vitamin and it is stored in the body. Uh, so don't go out and hyper dose on vitamin A because it, uh, it will not accrue to your long-term benefit. 54:15 Rep. Michael Burgess (TX): Did the measles, mumps, rubella vaccine ever contain mercury or thimerosal? I'll need a verbal answer for the clerk. Dr. Anthony Fauci: No. It's preservative free. 56:00 Dr. Nancy Messonnier: So measles was identified as eliminated in the United States in 2000 because there was no longer sustained transmission in the US. However, measles continues to circulate globally, which means unvaccinated US travelers can be exposed to measles and bring it back home with them, and folks in their families and their communities, if they're not protected by vaccine, are at risk. And measles is so incredibly contagious that it can spread really quickly. So yes, we should be concerned. 1:04:00 Dr. Anthony Fauci: But when you have a highly effective, and I want to underscore that because measles is one of the most effective vaccines that we have of any vaccine that a massive public health effort could lead to eradication. Because we don't have an animal vector, we don't have an intermediate host. We don't have a vector that transmits it. It is just person to person transmissibility. So theoretically we could eradicate it. The problem between eradication and elimination, if you eliminate it like we did in this country in 2000 as long as this measles somewhere, you always have the threat of it reemerging if you let down the umbrella of herd immunity. 1:05:00 Dr. Nancy Messonnier: Dr. Fauci is correct about Madagascar, but I think Americans don't realize that in 2018 there were also outbreaks in England, France, Italy, and Greece. American travelers going abroad need to think about their immunization status, not just when they're going into countries like Madagascar, but even going to Europe. 1:11:45 Rep. Jeff Duncan (SC): And one of the world's measle outbreaks right now, it's happening in Brazil where people fleeing a completely broken country of Venezuela are spreadingeas measles and - madam chair- I'd like to submit for the record, an NPR article, "The collapse of health system sends Venezuelans fleeing to Brazil for basic medical needs." And I'll submit that for the record. Um, they've been in a unvaccinated population because of the collapse of the failed socialist state in Venezuela where there should be an instructive example for some of us in this committee room of the lack of that sort of medical treatment of vaccinations. I would note that the humanitarian aid that countries like the U.S. are trying to send to Venezuela is being burned on bridges by the Maduro regime instead of actually being used to help his own people. This includes vaccinations, like the ones we're discussing today. There were measles vaccinations that were burned on the bridges as part of the relief effort to Venezuela. 1:18:30 Rep. Kathy Castor (FL): I was a little confused by the last line of questioning that they're, the alarm should be over, uh, immigration and, and asylum seekers. You have a comment on that, Dr. Fauci? Dr. Anthony Fauci: Well, I, I think what Dr. Messonnier said is absolutely correct. If you look at the known outbreak, so if you take the outbreak in the Williamsburg section of Brooklyn in New York City and in Rockland County, it was a relatively closed group who had a rate of vaccination that was below the level of a good herd immunity. A person from Israel understandably came over legally as a visitor into the community. And then you had a massive outbreak in New York. The Somali community in Minnesota, the same thing happened. You had a group there who had a lower rate that went below the cutoff point for herd immunity. Some immigrant came in as one of the members of the community, was a relatively closed community, and that's what you have. So I think when you talk about outbreaks, it really transcends some of the demographic issues that you were talking about, about lower income or rural versus urban. It really is an a closed community that we're seeing it. Castor: with lower vaccination rates. Fauci: Right, exactly. So a lower vaccination rates. 1:23:45 Rep. Paul Tonko (NY): In response to the spotlight on the monetization of misinformation about vaccines and the ways in which platforms are being manipulated to promote anti vaccination messaging, some companies have announced new policies. For instance, Facebook says it is working on its algorithms to prevent anti-vaccination content from being recommended to users. Pinterest has decided to remove all vaccination related posts and searches, even accurate information. And YouTube just recently announced that it would prevent channels that promote anti-vaccination content from running advertising. Dr Fauci, do you think these actions are a step in the right direction to ensure parents and families have access to science-based factual health information? Dr. Anthony Fauci: Obviously it's a very sensitive subject because it then gets in the that borderline between the, you know, the essentially crushing of information that might actually be useful information. However, having said that, I do think that a close look and scrutiny at something that is egregiously incorrect has some merits of taking a careful look as to whether, one, you want to be participating in the dissemination of that. Always being careful about not wanting to essentially curtail freedom of expression. You still want to make sure you don't do something that is so clearly hazardous to the health of individuals. Rep. Paul Tonko (NY): I appreciate that. And Dr. Messonnier, as the agency charged with protecting our national public health, what efforts are underway at CDC to counter the online proliferation of anti vaccination disinformation. Dr. Nancy Messonnier: As a science based agency, CDC really focuses on making sure that we get scientifically credible information available to the folks at the front lines it needed every day. In order to do that, we do scan social media to see what issues are arising and what questions are emerging to make sure that we can then gather the scientifically appropriate answers and get that to our partners in the front line so that they can talk to patients about that information. 1:30:30 Dr. Nancy Messonnier: The concept of herd immunity is that by vaccinating an individual, you don't just prevent them from getting disease, but you also prevent them from transmitting it to others. And what that means is that in our community, individuals who, for example, can't get the vaccine because they're too young, or they have some kind of illness that prevents it, are still protected by the cushion of protection provided by their community. Radio Interview: National Security Advisor Ambassador John Bolton, Hugh Hewitt Book Club, February 1, 2019. Hugh Hewitt: There are reports of Venezuela shipping gold to the United Arab Emirates. The UAE is a very close ally of ours. Have you asked the UAE to sequester that gold? John Bolton: Let me just say this. We’re obviously aware of those reports consistent with what we did on Monday against PDVSA, the state-owned oil monopoly where we imposed crippling sanctions. Steven Mnuchin, the Treasury Secretary, is implementing them as we speak. We’re also looking at cutting off other streams of revenue and assets for the Maduro mafia, and that certainly includes gold. And we’ve already taken some steps to neutralize gold that’s been out of the country used as collateral for bank loans. We’ve frozen, and our friends in Europe, have frozen a substantial amount of that. We want to try and do the same here. We’re on top of it. That’s really all I can say at the moment. White House Daily Briefing: Trump Administration Officials Announce Sanctions on Venezuelan Oil Sector, C-SPAN, January 28, 2019. 7:43 Steven Mnuchin: But effective immediately, any purchases of Venezuelan oil by U.S. entities, money will have to go into blocked accounts. Now, I've been in touch with many of the refineries. There is a significant amount of oil that's at sea that's already been paid for. That oil will continue to come to the United States. If the people in Venezuela want to continue to sell us oil, as long as that money goes into blocked accounts, we'll continue to take it. Otherwise, we will not be buying it. And again, we have issued general licenses, so the refineries in the United States can continue to operate. 9:06 Steven Mnuchin: The purpose of sanctions is to change behavior. So when there is a recognition that PDVSA is the property of the rightful rulers, the rightful leaders, the president, then, indeed, that money will be available to Guaido. Interview: Jenny McCarthy talks to CNN on how she cured her sons Autism caused by VACCINATIONS, CNN, October 23, 2008. Documentary: Mission, Measles - The Story of a Vaccine, Co-produced by US Public Health Service and Merck, C-SPAN/American History TV, 1964. 3:30 Narrator: As of this time, measles is by far our most serious epidemic childhood disease. Although nearly half a million cases are reported each year, the actual number is probably closer to 4 million. 3:45 Narrator: In 1961 after the polio vaccines had reduced the deaths from that disease to 90, that same year 434 measles deaths were reported. In the less developed countries of the world, the toll taken by measles is much greater. In Nigeria, it is estimated that one out of four babies contracting measles dies from it. The tragic toll of measles is also told in a neighboring republic Upper Volta, where in one village, an epidemic killed 113 out of 115 children who got the disease. Across the ocean in Chile, measles accounts for half of all childhood deaths from acute communicable diseases each year.